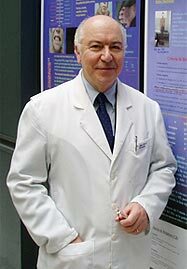 I am a specialist in rheumatology and osteoporosis, graduated from The University of Chile Medical School, in 1961. I started my studies at St. George’s College, Santiago. In 1954, I entered the University of Chile Medical School. I started my rheumatology training at the San Juan de Dios Hospital, in Santiago in 1960. I worked in internal medicine and rheumatology at the hospitals and in private practice in Santiago and later I formed the Rheumatology Departments both of the Trudeau Hospital (1963) and the Police Hospital (1969). From December 1964 till December 1966 I did a Fellowship in Rheumatology at The University of Colorado Medical Center. 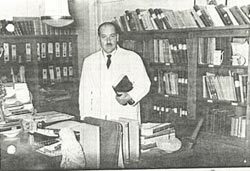 After that returned to Santiago, as staff member of the Rheumatology Department of the San Juan de Dios Hospital (1967-1970). This year (2014) Dr. Bravo went fishing in the South of Chile, in the Allipen River. 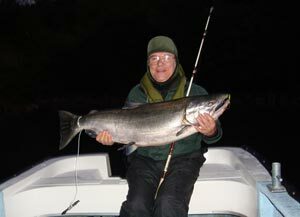 In this opportunity he fished this beautiful big Salmon. Homage to my father, Fernando Bravo Escobar, MD.